Awesome story. I love knowing more about you and how you got here. Love your story. I was born to a creative, messy, awesome mother. She definitely fueled my creative side with bags of Popsicle sticks, glue, paper and tape. A couple of years ago she sent me wholesale size packages of tailors chalk and tape. I couldn’t loved a present more. I think it’s fascinating to learn how people get into sewing. You were lucky to have a crafty mom! Maybe I should brag that your team won the OM state championship and went on to the national competition at the Univ. of Maryland. That was a fun trip. I always thought that the rubber band idea was very clever way to get the job done quickly since you had the backdrops to build and rehearsals. You guys did an amazing job all by yourselves. PS. I liked your short hair. 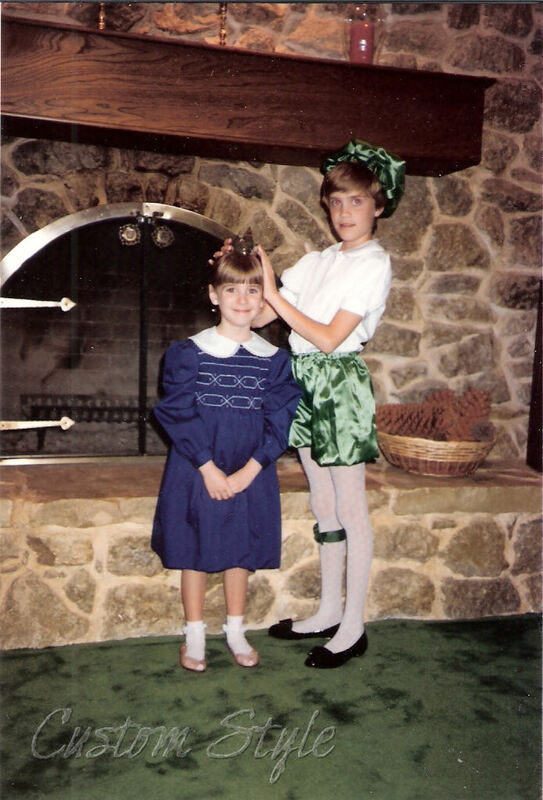 Love the costume parallels…that is an adorable picture of you in your first costume! And I totally knew guys in high school that did the rubberband trick to keep their pants from dragging on the floor; your application seems much more reasonable, given that it was for a costume and theirs was for real life everyday wear. I would’ve loved to have known you as a kid! I was always making things too, but I don’t think I have any of my makes anymore. Boo. With as many times as I have moved (18! ), I’m surprised I have anything I made from my childhood! I’ve thrown so many things away before and after moves, I don’t know how I managed to keep the doll and all the accessories (and together as a set)! It’s also amazing that I was able to find that one photo of my costume in my parents’ boxes and boxes of pictures. I can’t say that I’ve ever heard of anyone using the rubber band trick for jeans – lol! Of course, I had a weird private school dress code in high school. I loved reading about your childhood. I made stuff too, but not clothes. I loved a series called the Borrowers. My best friend and I furnished a Borrower house in the backyard, complete with a teapot made from a hazelnut. We were also tent builders, one time we tented over the whole back yard using all my mom’s sheets, we had rooms and hall ways. My mom was always so good about that stuff. I remember the Borrowers too! (I think they even did a movie based on the books a few years ago.) My sister and I did the tent thing inside every once in a while when we were little – but nothing nearly as cool sounding as your backyard creation! What a great story! It’s interesting to see how you started on this path so early in life. Wow! 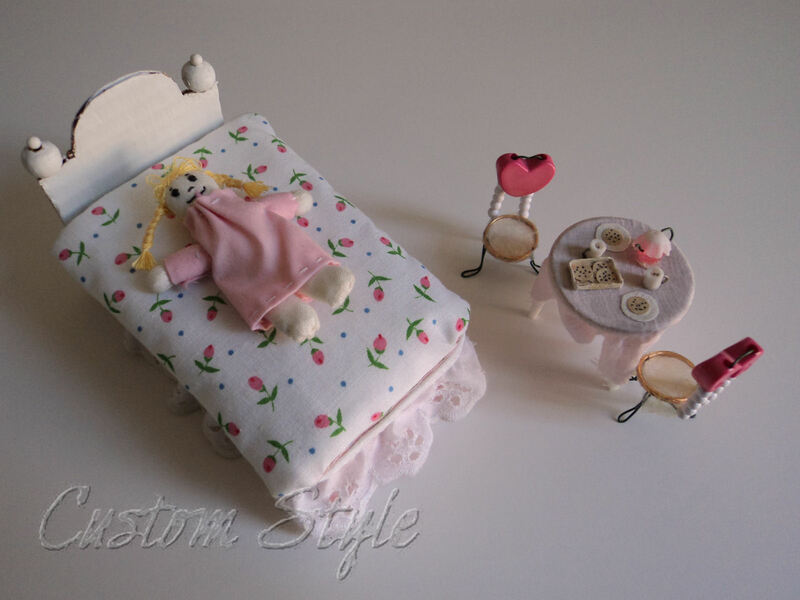 That little doll set is so cute! 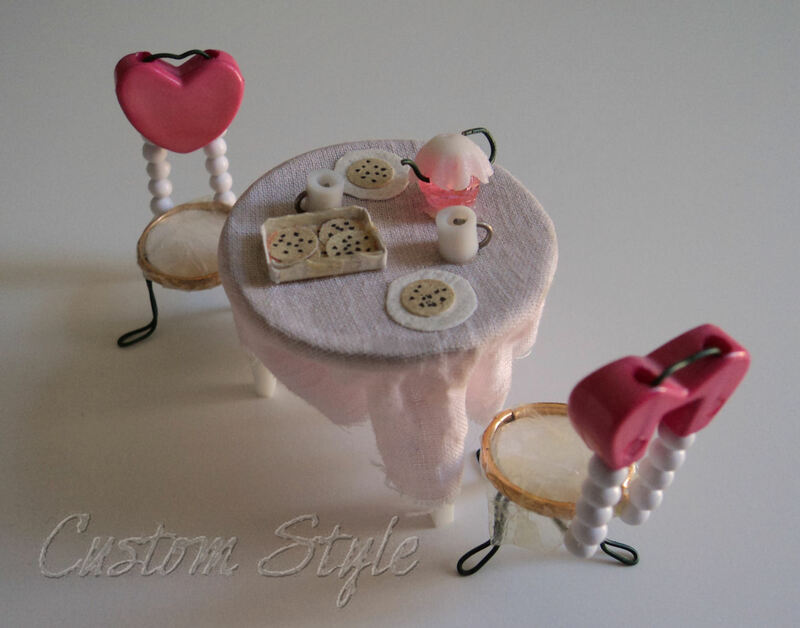 OMG – your doll set is adorable! I can’t believe you still have it. Amazing. I love the photo of you in your grade-school costume. 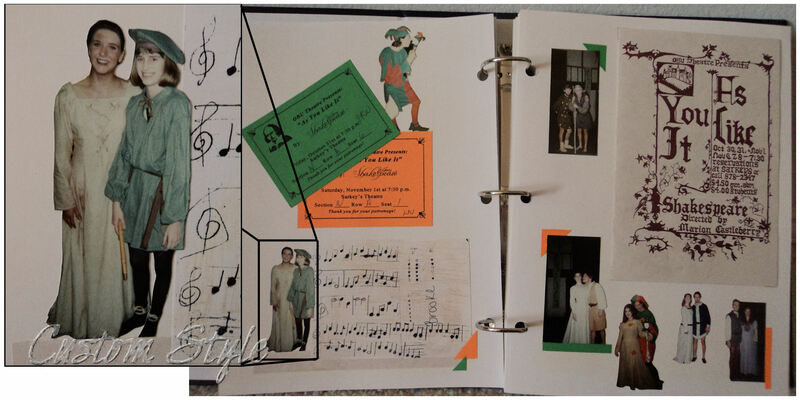 Wow – I guess you were destined to be in costuming!